Low-income Californians feel the pinch when gasoline, electricity and natural gas prices increase. And it’s logical to think that the state’s Cap-and-Trade program might add to those expenses. But this program is generating billions of dollars to provide an array of benefits to Californians, especially those living in disadvantaged communities. Now, a first-of-its-kind study by the UCLA Luskin Center for Innovation has found that Cap-and-Trade has produced another very positive result. The study, “Protecting the Most Vulnerable: A Financial Analysis of Cap-and-Trade’s Impact on Households in Disadvantaged Communities across California,” revealed that the state has very effectively put in place measures to mitigate any disproportionate impact that might fall on low-income households. According to the researchers, protective measures implemented by the state could more than offset Cap-and-Trade compliance costs that are passed on to electricity, natural gas and gasoline consumers. Low-income households inevitably are going to bear a stronger burden from regulation because they pay a higher percentage of their income to electricity and natural gas bills as well as to gasoline. But, according to the study, the state has effectively put in place measures to protect low-income Californians as we transition to a cleaner, lower-carbon economy. The study also found that low-income households could receive an estimated positive impact of between $44 and $83 as natural gas utility customers. Cap-and-Trade was created in 2012 to reduce greenhouse gas emissions. It requires that the biggest producers of greenhouse gas — including electricity utilities, natural gas utilities and fuel distributors — purchase carbon allowances. The costs of these carbon allowances create price signals that communicate to consumers the amount of GHG emissions associated with electricity, natural gas, and gasoline consumption. “They have to pay to pollute, or they have an incentive to reduce their emissions,” Callahan said. The state’s portion of the Cap-and-Trade proceeds are deposited in the Greenhouse Gas Reduction Fund, which are used to make climate investments that further the goals of the Global Warming Solutions Act of 2006 (Assembly Bill 32, Núñez and Pavley). Those climate investments provide tangible benefits — energy efficiency and weatherization upgrades for homes, clean vehicle incentives, tree planting and more — in communities across Californians. Another portion of the Cap-and-Trade proceeds are being directly returned to the millions of Californians who are residential customers of an investor-owned utility, such as Pacific Gas and Electric and Southern California Edison. Customers of those utilities respectively received $50 to $60 in climate credits on their electricity bills in 2015. The Luskin report assessed how the provision of climate credits directed to households would mitigate Cap-and-Trade related costs. The study also assessed two other types of strategies that indirectly mitigate these costs. As such, Gattaciecca factored in low-income rate assistance programs, which although unrelated to the Cap-and-Trade Program, can reduce households’ budgetary burden associated with electricity and natural gas consumption. Gattaciecca also factored in state and industry predicted trends for electricity, natural gas, and gasoline consumption, which are affected by climate investments and other efficiency, fuel switching, and vehicle-miles reducing programs and policies that help households lower their use of energy and fuels. Because these policies and programs can help lower energy and gasoline bills, they indirectly lower any Cap-and-Trade compliance cost passed on to customers. The Luskin report utilized a case study approach. 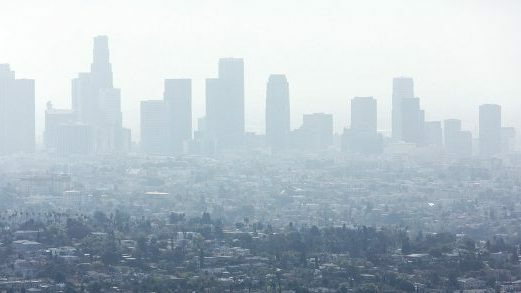 The state developed a tool, called the CalEnviroScreen, to identify disadvantaged communities that have elevated environmental health and socioeconomic risks, including poverty and pollution. Using CalEnviroScreen, the Luskin researchers chose four California communities for their study. Gattaciecca also examined American Consumer Survey data and other databases to learn about common characteristics of households within those four case study communities. He then constructed hypothetical but representative profiles of households in each of the case study communities. The results of their study left Callahan and the other researchers impressed. A full copy of the Luskin Center report can be found here.